On Tuesday, Oct. 27, Country Fair honored the memory of Tyler Covato in a most stimulating way. Country Fair's Facebook post on Oct. 23 read, "Right before Tyler passed away, he discovered our coffee and asked his mother and sister, 'Why didn't you guys tell me about this? It's like miracle in a cup!' Please like and share this post and remember to purchase a hot beverage (coffee, hot chocolate, and cappuccino) in his honor on the 27th! 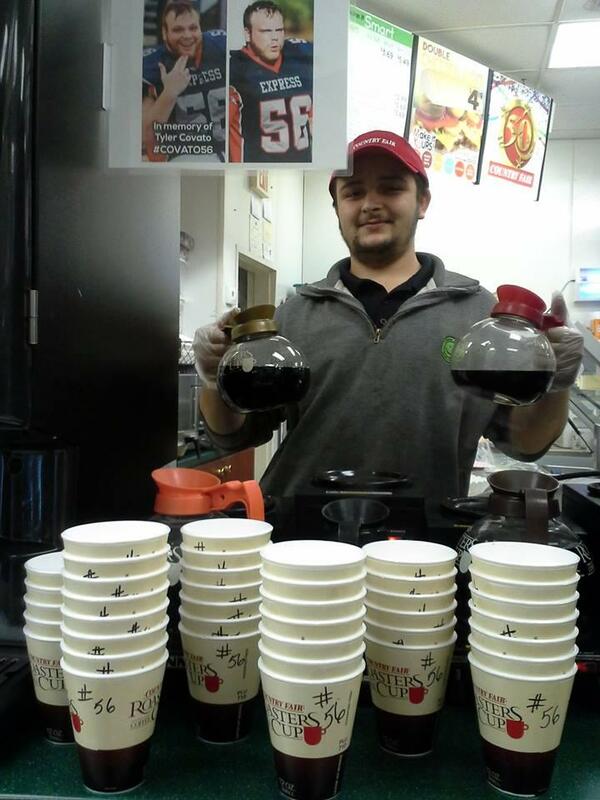 ‪#‎COVATO56‬"
Country Fair then pledged to donate 56 cents from every hot beverage sold on Oct. 27 to three organizations that Covato was passionate about: Erie Express Football, The ANNA Shelter, and McDowell Football-2015. Covato was a 23-year-old city worker who was killed in a work accident on Oct. 15. He also played football for the Erie Express semipro football team, wearing the number 56. Country Fair will post the donation results of their campaign in the middle of next week.